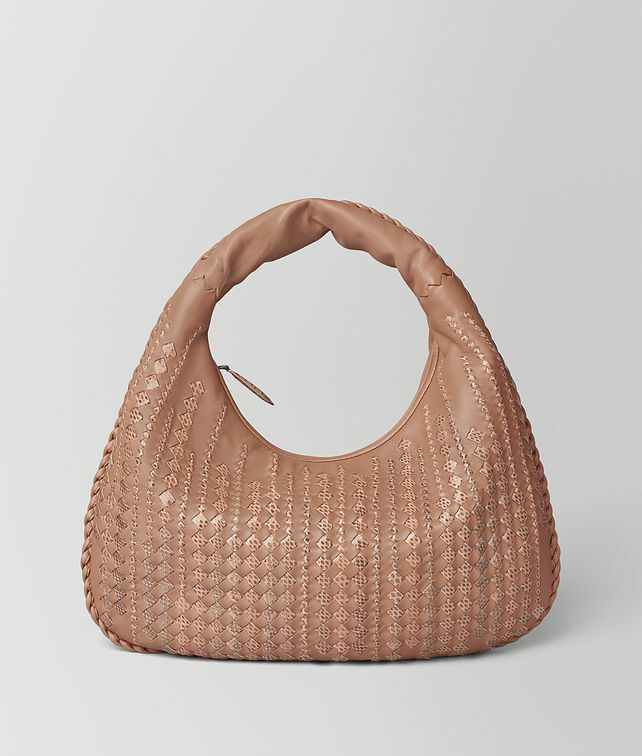 Echoing the season’s exquisite fresco palette, the iconic Veneta hobo is crafted from nappa leather with a meticulously woven diamond intrecciato pattern in tactile ayers. Its studied dimensions provide a lightweight silhouette with soft, seamless curves save for a fine zigzag detail at the handle. It is finished with finely woven contours, a concealed zip fastening and an internal zipped pocket. Height: 36 cm | 14.2"
Width: 43 cm | 16.9"